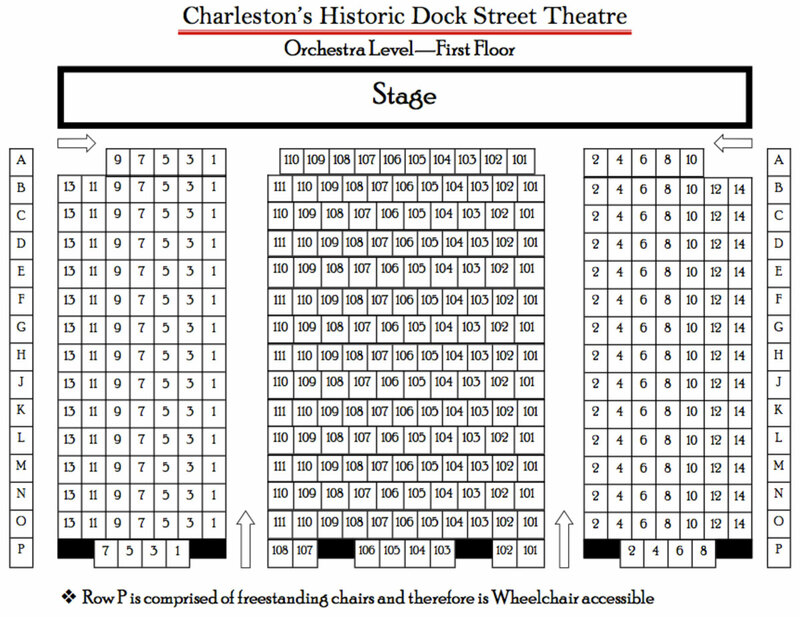 Located in the historic French Quarter of downtown Charleston, the original Dock Street Theatre opened in 1736, but the new Dock Street Theatre, modeled on 18th Century London playhouses, is the result of two rehabilitations–most recently a massive $19 million renovation completed in 2010. The results are state-of-the-art lighting and sound, enhanced acoustic engineering and modern HVAC to go with stunning craftsmanship details like salvaged 18th century mantels and woodwork, as well as warm interiors built from locally grown and milled native black Cyprus. 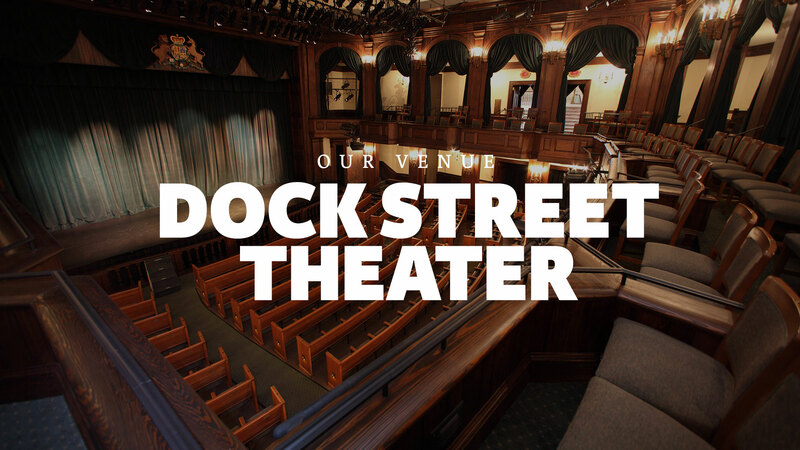 The venue is intimate with excellent visibility and sound from virtually every seat, and the theater is on the National Register of Historic Places. Complimentary parking is offered within one block of the theater.